Home > Starting A Website? What Do I Need To Budget For? Why Does My Buisness Need A WebSite Budget? You have your very own business. Great! Creating a website for your business provides you with an online identity that your customers can view. 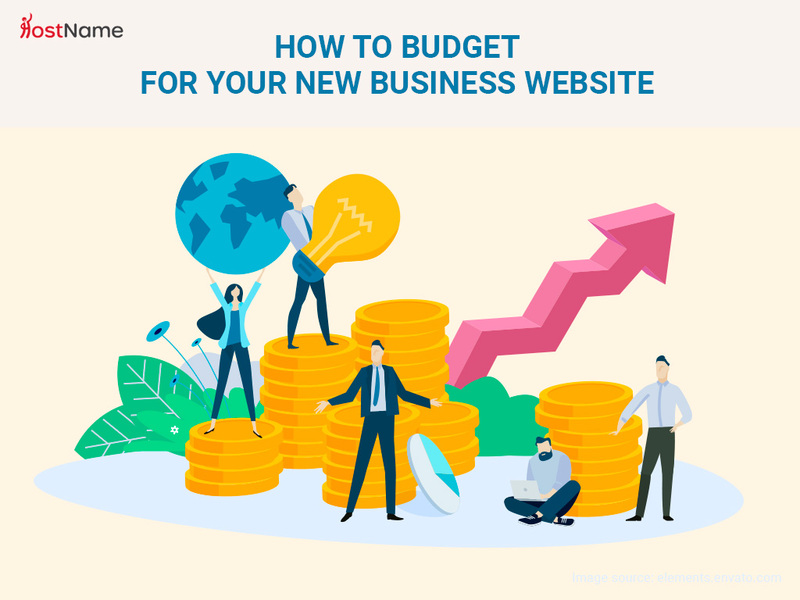 Creating a budget allows you to consider all aspects of setting up and implementing your website and their associated costs. Budgeting therefore prevents overspending by outlining all costs you may incur reducing unexpected fees. Before purchasing web hosting for your brand-new website you can save money by doing research. Analyse the hosting options available to you and make a decision based on the one you require. Not only does this provide you with the best possible hosting it prevents wasteful spending on services you don’t require. Need Help Deciding? What Hosting Plan Is Best For My Requirements? Your domain is the most important aspect of your online identity. It is important to select a domain best suited to your website. Read More On Selecting A Domain Name! Domains cost money, however they are cheaper when compared to the cost of web hosting. Decide on the total amount of money you are willing to spend on your domain and select a TLD best suited to your requirements. .Site domains go from $2.99 while a .Store domains will set you back $54.99. Select the extension you require before purchasing. This allows you to budget effectively preventing unexpected fees. Doing regular backups of your server is important for any business. Ensuring you have a copy on standby in the event of an emergency can save your business. Select a good backup system to prevent data loss. When budgeting it is important to decide how much storage you require. This allows you to budget for your backup system preventing overspending. Think how much storage do i really need? You don’t need to buy 1TB of storage if your website is only 10GB. Depending on how much time you have and your skills you may need to hire a team to build your website. This is an excellent option for those with little technical knowledge who require a custom built website. Hiring developers can be costly for any business. Figuring out how much money you need to hire a team is very important and prevents unexpected costs. Agreeing an upfront price with a contractor ensures you won’t go over budget. If using custom software such as WordPress or similar products such as website builders to design your website you have the option to use themes. To make the creation process of your website easier you can use software such as WordPress. WordPress allows you to build your website in a user-friendly environment. WordPress takes advantage of themes that users can either use for free or purchase. A theme is a pre-designed template you fill with content in order to create a professional website. It is important to select a theme that will make your website stand out. Similarly, plugins offer multiple features that improves your web hosting experience. Some plugins are free while many are not. It is important to select themes and plugins with active developers who are constantly updating their product. Website builders can be a better option for some clients as they offer a more user-friendly experience. Website builders allow you to create your website from scratch or from a template within a drag and drop environment. Some users prefer a drag and drop environment over the use of themes, this step is based on your personal preference. The majority of website builders offer a wide range of free templates included with your subscription package. Users new to creating websites may require training in order to use the tools required to build a website efficiently. The majority of your training can be done using free online resources such as blogs, videos and manuals. Depending on any custom software you use you may need in-depth training, this can sometimes only be achieved by hiring an individual to coach you personally which can be costly. Criminals make full time careers targeting vulnerable websites that lack proper encryption and security. Don’t let your business fall victim to a malicious attack which can result in finical loses. When handling sensitive personal data from your clients you are responsible for ensuring that data is not used in a malicious way by any other human. SSL Encryption helps to protect data during transit to your servers. It is highly recommended every website invests in SSL encryption. Webservers infected with malware present major security risks that can lead to your hosting provider terminating your service. Make sure that the web hosting provider has systems in place to monitor their servers for any such malware. Running an online business will result in a lot of emails being sent. Emails can be used in order to make customers aware of your current promotions. Depending on the level of emailing you may require a dedicated email hosting service. Many users will not require this as cPanel offers built a built-in emailing system with a wide range of features from forwarding emails to autoresponders. When creating your online website you have three main resources at your disposal. Time: Simply put how much time are you willing to dedicated into your website. Doing tasks such as designing and developing your website can reduce costs however this will consume your time. Skills: You are limited to tasks you can achieve in terms of the skills you have. Luckily using the third resource money you can hire contractors with the skills you require. Money: Money can be exchanged for other people’s skills and time. Hiring contractors to complete tasks for you can be very useful resulting in a professional product while saving your time. Budgeting is the process of breaking down all tasks related to the creation of your website in terms of cost. This will give you an idea to the amount of money you require in order to build your website. Setting out a list of tasks helps you to reduce costs as you can complete tasks that fall into your skill range. However, if you do not have time you can spend money to hire freelancers in order to complete these tasks for you.